5 Healthy Resolutions to Start the New Year | Main Line Audiology Consultants, P.C. Imagine your life in 2016 with half the stress and double the energy. Who wouldn’t want to have that? Even though virtually everyone aims for better health, it’s not a secret that the majority of health-related New Year’s resolutions fail. We have a tendency to create resolutions that are too difficult or too complex—all in the name of getting quick, extreme results. But instead of striving for the quick fix, the new year is the opportunity to establish lifestyle modifications that are simple and easy to sustain—so that after a while they come to be habits, slowly but surely getting you closer to optimum health. 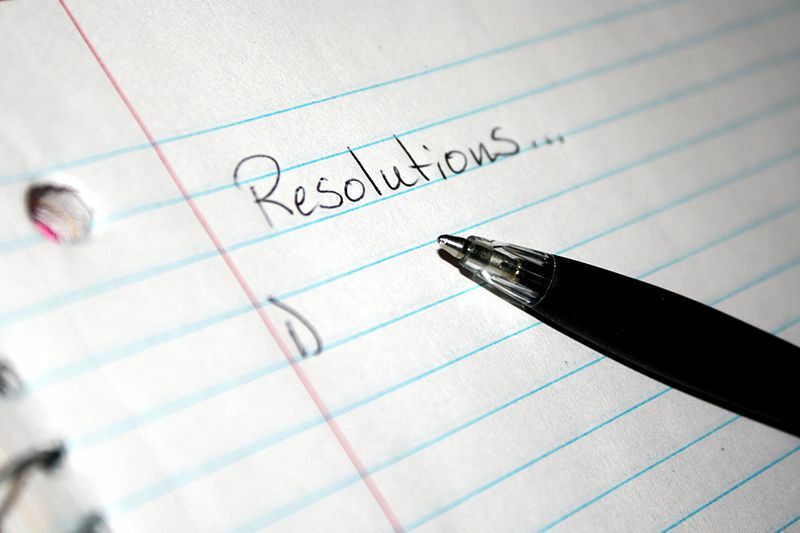 The following are five straightforward resolutions you can implement right away for a healthy 2016. It’s a recognizable story: you get started on the most recent fad diet and you’re feeling pretty good. Then, a couple of weeks into the program, and you have a birthday party to attend. You arrive determined to be responsible, but you can’t resist the cake and ice cream. Diet over. Giving up in this manner is a symptom of an all-or-nothing attitude to diet and health. Rather than surrendering when you cheat on your diet, view your present level of health as resting at one point along a continuum. Every choice you make pushes you closer to one end (good health) or the other end (poor health). The cake and ice cream pushed you to the wrong end of the continuum, but that doesn’t imply you need to move in the same direction for the rest of the day, week, or month. It’s okay to have that piece of cake every now and then, providing the greater part of your decisions move you towards better health. Implementing healthy habits demands a short memory. You will slip-up every now and then. What counts is your response, and how you’ll plan on making more healthy than unhealthy decisions going forward. Fad diets practically never work. The reality is that they are not sustainable, meaning that even if they do work in the short-term, you’ll very likely just regain the pounds. Fad diets are all about deprivation of some kind. No sugar, no fats, only 1,000 calories daily. It’s like if I recommended that you’d be more productive at the office if you didn’t check your email for a month. Throughout that month, you would probably get a lot more work accomplished. But what would materialize at the end of the month? You’d consume the majority of your time reading through emails, making up ground, and losing all the productivity you just gained. The same phenomenon pertains to deprivation diets. In fact, studies show that individuals often gain more weight back than they lose after the conclusion of a temporary fad diet. Moderation. Remember our health continuum? It’s OK to have a candy bar or a cheeseburger every so often. Individual foods are not as important as your overall diet. So long as most of your decisions are healthy, you’re moving along the continuum in the proper direction. If you desire to write a novel, and you pressure yourself to write the entire thing in one sitting, you’ll never make it to the end. However, if you dedicate yourself to writing one page per day, you’ll have 365 pages to work with at the end of the year. Everyone understands they should be exercising. The issue is equivalent to fad diets: the adoption of an all-or-nothing attitude. You buy a gym membership and pledge to commit to 7 days a week, three hours a day, for the rest of your life. Two weeks in, you miss a few days, cancel your membership, and never go back. All or nothing. You’re focused on the days you miss going to the gym when you should be focused on the days you do go to the gym. Each gym trip moves you closer on the continuum to good health. You can also integrate physical exercise at work and elsewhere during the day. Choose the stairs in the place of the elevator, park your car farther away from the store entrance, complete some pushups on your lunch break. Each one of these activities tip the balance to good health. This will be unique for everybody, but here’s an example of a resolution incorporating all three strategies. Eliminate – Some activities and responsibilities create more stress relative to the benefits acquired. If you find, for instance, that you spend the majority of your time on social media, but the stress of updating your status supplies little reward, you may think about ditching your accounts. Reframe – Have you ever noticed that the same experience can be stressful for one person, yet exhilarating for another? As an example, some people despise public speaking while others cherish it. It is possible, but not easy, to reframe your thoughts of anxiety into positive energy you can use to defeat your fears. Relax – What do you enjoy doing the most? What is most relaxing to you? Listening to music? Reading? Hiking? Meditating? Whichever it is, find ways to open your schedule to do more of it and the stress will fade away. And finally, think about committing to a hearing exam this year. While this may seem insignificant, it’s not—one out of 5 people in the US suffers from some level of hearing loss and most do nothing about it. Hearing loss has been linked to several significant medical conditions, such as depression, cognitive decline, and even dementia. Not to mention the continuous struggle to hear as a major source of stress. Strengthening your hearing is a great way to reduce stress, reinforce personal relationships, and improve your overall health and well-being.